The Forest Estates Neighborhood in Silver Spring, Maryland 20902 is bordered by Georgia Avenue to the west, Dennis Avenue to the north, Sanford Road to the south, and Sligo Creek Park to the east. Forest Estates is an attractive quiet suburban community of single family homes built between the 1940's through the mid 1960's. 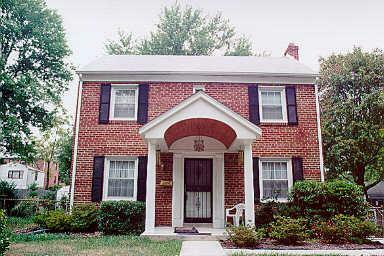 Most homes are solidly built Post War brick cape cods and colonials. The community is walking distance to the Forest Glen METRO station. Forest Estates is located just outside the beltway (as in a matter of a few feet outside the Beltway) but close to the hustle, bustle, nightlife, shopping and ammenites of Downtown Silver Spring and Washington, DC. There is an abundance of Parkland in and around the Forest Estates Neighborhood. General Getty Park is a popular neighborhood park within the Forest Estates Neighborhood and all the ammenities of Wheaton Regional Park are nearby. The Forest Estates Community Association is an active group that represents residents interests in county planning and other political issues. The group has family-oriented social events for neighbors to meet and an email group for neighbors to keep up on the latest news, events, and announcements and learn about local services. Some of the events are: A weekend Farmers Market, Community Picnic, National Night Out, Park Clean-Up and a Halloween Parade. Visit the Forest Estates Community Facebook Page. Highest Sale - $740,000 for a 4 Bedroom 2 Bath Rambler with slate roof, 2 car garage, new kitchen built in 1948 on a 1/2 acre plus lot. That's a pretty good List/Sold stat. Just shows again the popularity of Silver Spring.